The Notre Dame Fighting Irish bring their non coach stealing basketball team to the big fraction to play a Big East game against the Cincinnati Bearcats this afternoon at 4. It's a big game for UC. After falling to 2-3 in the Big East, the Bearcats need a win to get back to .500. Notre Dame is playing their 3rd Big East road game out of 4 total, and are looking to go 4-1. The UC football team will be honored at halftime begging the question of whether or not this is the Brian Kelly Bowl. Except whatever you call basketball games that isn't bowl. The teams meet twice this season, the second meeting coming on February 4. This should be an interesting test of where the teams are in the Big East. Is Cincinnati going to fall towards the back of the pack? Will Notre Dame make a surge to the top? Let's look at the numbers. Notre Dame has been the same team it seems all of Mike Brey's career, all offense no defense. This season is no different as the Irish are incredibly efficient on offense, and horribly inefficient on defense. If the Bearcats can't score on ND, then it's ok to think they won't score on anyone. The teams have played 3 times in the Big East, with Notre Dame holding a 2-1 advantage. There was a non Big East game they played also won by the Irish. Cincinnati beat Notre Dame last year in 5/3, and it's going to take a game effort to do it again this year. 400th year senior Luke Harangody once again leads the Big East in scoring and is 4th in rebounding. He has but 1 double double against UC, and that came last year. UC shot 41 free throws in that game, and ND was 3-13 from 3. The key for this game is the 3 point shooting. 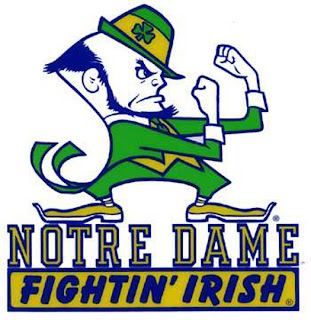 If Notre Dame is making, they are really tough to beat. If UC avoids taking too many, they have a better chance. ND's 3 point defense is weak, and that might make UC take more. The Bearcats are 4 point favorites, and absolutely need to win this game in my mind. I think that, despite Gody going for 27-14, the Bearcats will do it.